Terra Lago, South Course Hole 2: The second hole of the day makes great use of the canal that shows up from time to time. The drive must stay left of it, but try to hug it as much as possible for the best angle across the canal to the green on the other side. Terra Lago, South Course Hole 4: This par three makes the golf feel like they are in the middle of nowhere, which is where the ball will be if it misses the green by much in any direction. Terra Lago, South Course Hole 5: This long par four requires a good drive over or just right of the fairway bunker to leave a good angle to the green, but has a wide fairway that will accept a safer route. It is a classic easy bogey, hard par type of hole. 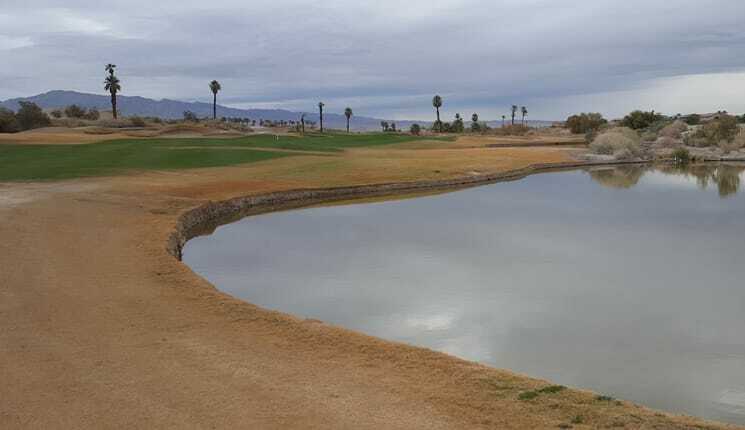 Terra Lago, South Course Hole 6: This long par three requires another shot over the canal, but has a fairly easy bailout short and right of the green. Thus, the golfer can rely on chipping and putting to negotiate a par on this two-tiered green. Terra Lago, South Course Hole 8: The second par five on the course is very long and the golfer must contend with a series of lakes to the right on at least the drive and second shots. The green complex is fairly straight forward, with a couple of sand traps to avoid. Terra Lago, South Course Hole 9: The ninth is a very long hole and the drive must stay right of a bending canal, but left of bunkers and desert to the right. The green is then perched on the edge of the canal with deep bunkers and swales right to catch the less-than-bold effort. Terra Lago, South Course Hole 10: The back nine opens with a very tough par four. The drive is docile enough with only a very long drive left reaching the water. 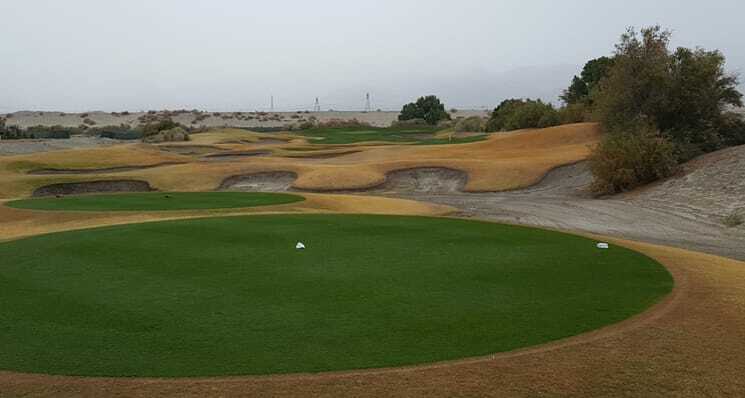 However, the golfer who lays back too much will have a very long shot over water to a shallow, but very wide green with no room for error short or left. Terra Lago, South Course Hole 15: This is the shortest par four on the course and is driveable for very long hitters. For everybody else, it still does not require much length, but the fairway is tight and there are a lot of bunkers a long the way, as well as OB on both sides. Left pin placements are much easier than right, due to the huge bunker short-right of the green and the shallow nature of the putting surface. Terra Lago, South Course Hole 17: This little par three has a wide, but shallow green with the center being lower than the left and right thirds due to tiers. 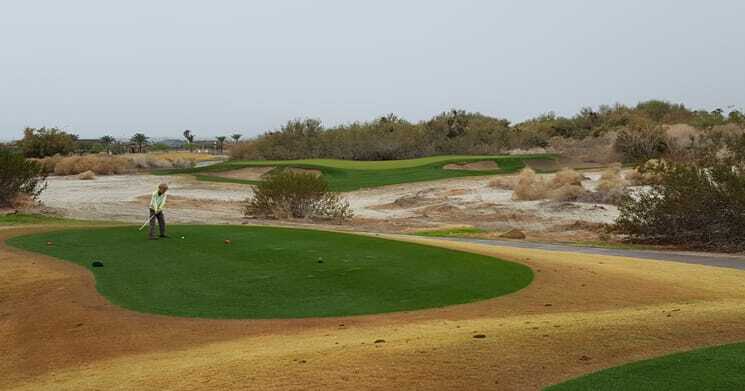 The bunkers short and desert long encourage the player to pick the right club off the tee and try to hit a high, soft shot that will stay on the putting surface.